A Samsung Christmas - Which Samsung product is on your wish list for Christmas and why? 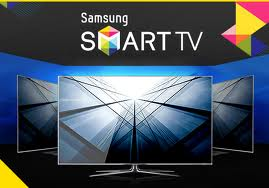 If I could pick ANY Samsung product this Christmas it would have to be a Samsung Smart TV. I wouldn't care what size, It would just be a dream come true for me. I've been dreaming about owning one of these all year now. They really look AMAZING! I've been dreaming of all those Smart TV functions. That thin flat screen and the endless possibilities of what I could do with it teamed up with my Samsung Tab and array of Samsung Smart Phones. So that's what Samsung product is on my list, but what about you? What Samsung product would you like for Christmas this year?